Today I'm going to talk about how you can get into teaching as soon as possible once you have qualified. I want to share my tips and advice on how you can make the most of your current experience and knowledge, whilst also appreciating the opportunities that are bound to be coming your way! One of the biggest hurdles facing new yoga teachers is that they don't have enough teaching experience to secure their first job. When it comes to getting this experience there are many ways to do it! Teaching your friends and family can be the perfect way to start. This will build up your confidence, and will also count as valuable experience. You can then work up to holding free classes in local parks, or at other low-cost venues, simply so you can begin building your resume and also your reputation. Once you have some of this all important real world experience under your belt, then you will find it much easier to confidently sell yourself to a yoga studio, and to get teaching in no time! One of the best ways to find a teaching opportunity is to create one yourself! If you have just qualified as a yoga teacher then you will likely already know several other teachers who are now in the same position as you. Gathering these people together once a week (or more or less depending on your schedules) to practice and continue to build knowledge, is a fantastic way to get teaching! During these sessions you can each take it in turn to lead the group. This means that everyone in the group is getting much needed teaching experience, and also that everyone is continuing to focus on their own self-practice. The more people you can get along to this group the better, as this further prepares you as a teacher for the type of classes you may be expected to lead when you are hired at a studio. When class numbers do start to get higher you can allocate a second person to assist the yoga teacher. As a brand new yoga teacher it is likely that you will still have another full or part time job that you are going to stick with whilst you build your business. This means that you have a pool of people that you can teach yoga to! You may suggest to your boss that you offer a class to your colleagues once a week in the lunch hour, or that people can opt to stay behind one night a week, or come into work earlier one morning, so that you can guide them through a session. Finding fun ways to stay healthy in the workplace is key to keeping employees happy and motivated, so it is likely that your boss will jump at the chance for you to organise this! You may have big ideas about landing your dream yoga job fresh out of your training course, and perhaps you are holding out for this becoming a reality. However, if you keep turning down opportunities that come to you because you believe that they aren't perfect, then these opportunities will likely soon dry up! Getting your foot in the door as a yoga teacher should be regarded as the most important of your priorities during this part of your journey, and once you have done this then you can start to think about moving in the right direction. One of the most common routes to getting a first teaching job is to begin as a teaching assistant in the class of a more well established yoga teacher. This is a good way to experience a yoga session from the other side of the classroom, and to get a better idea of how to communicate and interact with your students. Once you have worked as a teaching assistant for a while, then you will have the experience and the know-how to better secure a position as the teacher of your own class. 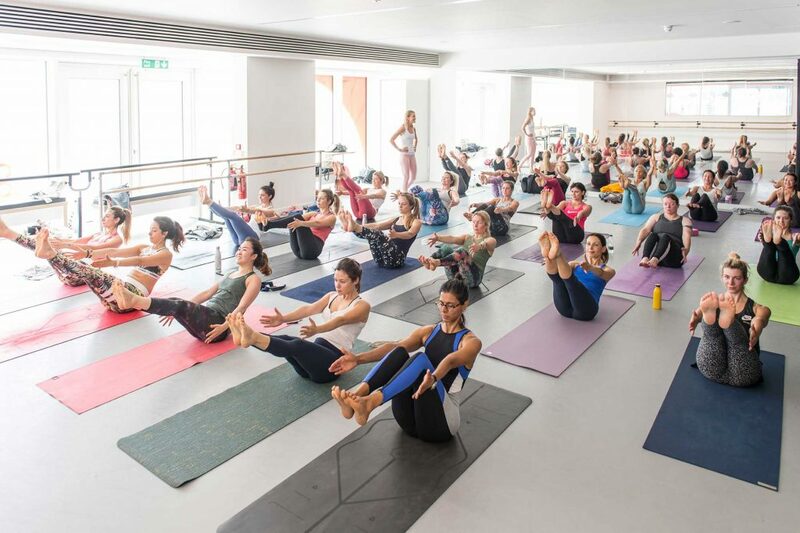 This also makes it much more likely that you will be invited to teach your own classes at the studio where you are currently working as a teaching assistant. So be flexible when it comes to which jobs you are happy to accept! When you are finding it hard to secure a teaching gig in a studio it can be a good idea to get some experience teaching private classes first. Advertising yourself as a private yoga teacher in your local area is not only a good way to get your first students, but also to enhance your reputation and let people know what you're up to! The fantastic thing about teaching private students is that if you do a good job then these people will likely tell their friends, family members, and co-workers about you! Word of mouth advertising is still an incredibly powerful marketing tool, even in this modern age of social media and online marketing. These five things that I've just discussed are simple ways to make sure you get teaching as soon as possible after the completion of your yoga teacher training course. Continuing your education is another effective thing that you can do to ensure you stay engaged with your yoga practice and continue to build your business! My Mandala and Mentoring Training has been created with the purpose of helping yoga teachers to move forwards with their yoga knowledge, self-practice, and business planning. Click here to check it out and register your interest for the next session, which will take place in London in June 2019. If you are someone who prefers to learn online, then my upcoming course – Build Your Yoga Brand – could be the best choice for you. This course includes everything that you need to know to build your yoga brand, both online and out in the real world. Click to check it out now and be among the first to know when the course is ready for enrolment!